Dr. Mal Couch died on February 12, 2013, age 74. Born and raised in Dallas, attending Scofield Memorial Church where he heard such preachers as Harry Ironside, Lewis Sperry Chafer, V. Raymond Edman and Carl Armerding, perhaps it was inevitable that he would find himself immersed in dispensational theology and its accompanying prophetic emphasis. After earning his B.A. from John Brown University, he returned to his hometown where he attended Dallas Theological Seminary, earning his Th.M in Systematic Theology. Aside from ministry, he supported himself in the television and film industry, editing news broadcasts and documentaries, keeping him close to current events. On November 22, 1963, Couch, a senior at DTS, was assigned by Channel 8 to film John F. Kennedy’s fateful Dallas visit, riding in the motorcade a few cars behind the President. Moving north to Chicagoland, he worked a part-time editor for Moody Monthly while also serving as pastor of Naperville Bible Church (now called Gracepoint Church). 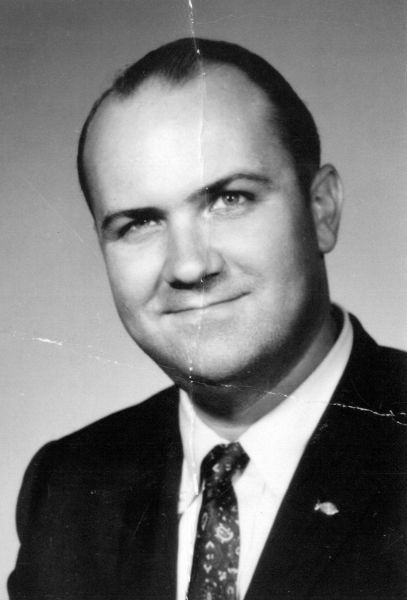 At his 1966 installation ceremony, the Invocation was presented by Dr. Merrill Tenney of Wheaton College; the Charge was delivered by Dr. John Walvoord, president of Dallas Theological Seminary. Busy with ministry, Couch also attended Wheaton College graduate school. “I can think of no better place for training Christians in the art of communicating the message of scripture,” he wrote on his application. Couch taught at Philadelphia School of the Bible, Moody Bible Institute and Dallas Theological Seminary, specializing in the fields of systematic theology, history, Biblical Hebrew and New Testament Greek. Recently, he was president of Scofield Ministries in Clifton, TX and Pastor of Clifton Bible Church. A man of many abilities, Mal Couch was a photographer, radio talk show host and a licensed pilot. Using his directing and editing skills, he produced The Occult with Hal Lindsay, The Temple with Zola Levitt and Someone Cares with Charles Colson. He was also a prolific writer, including Inerrancy, Titus and the Birth of the Nation of Israel. One of his final titles was Going Home: Our Blessed Hope of Heaven and Eternity, written with his wife, Lacy.